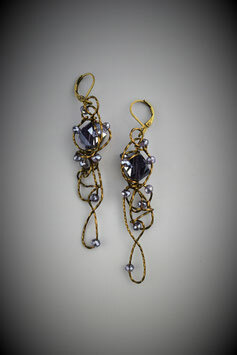 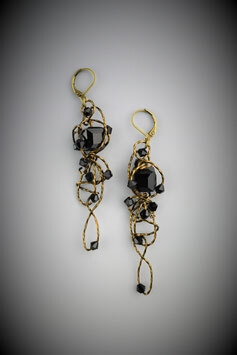 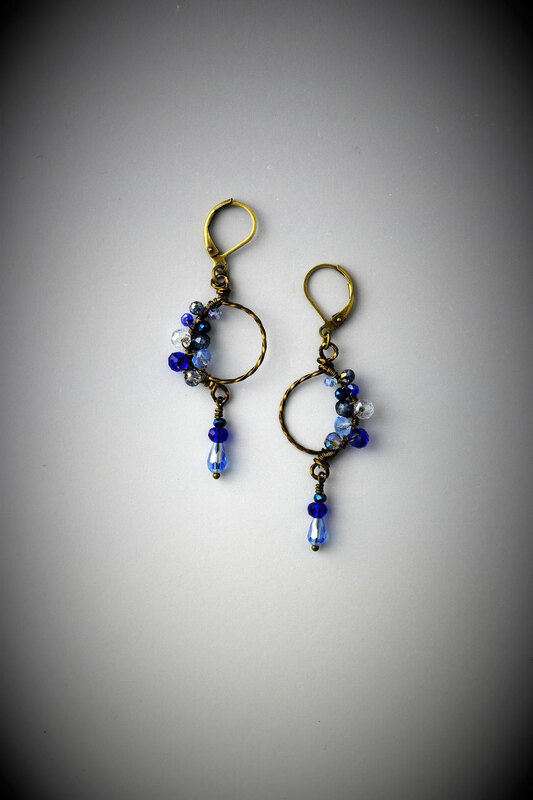 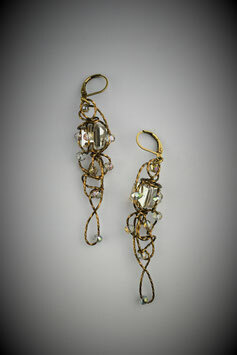 Earrings - Website of victoriamountz! Each earring is 3/4" wide and hangs 2 1/2" below the ear. 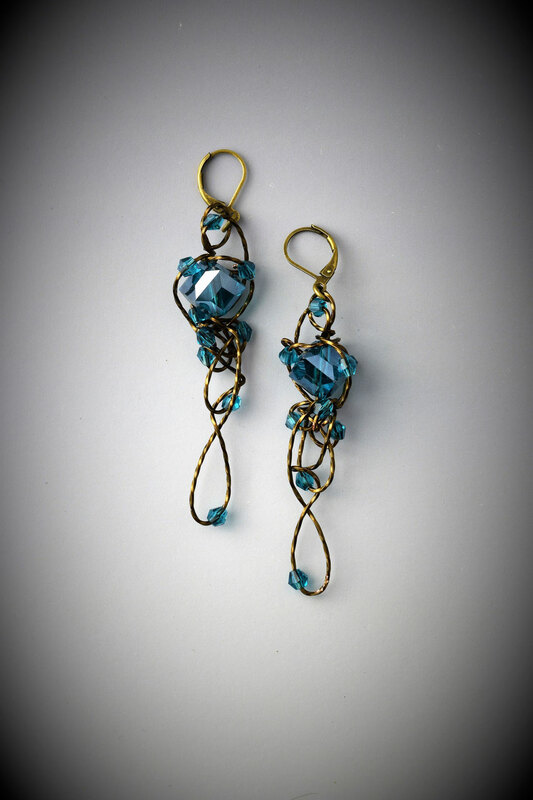 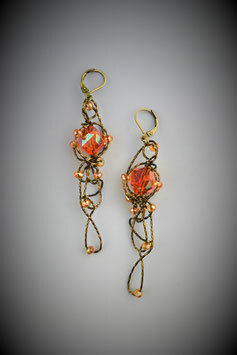 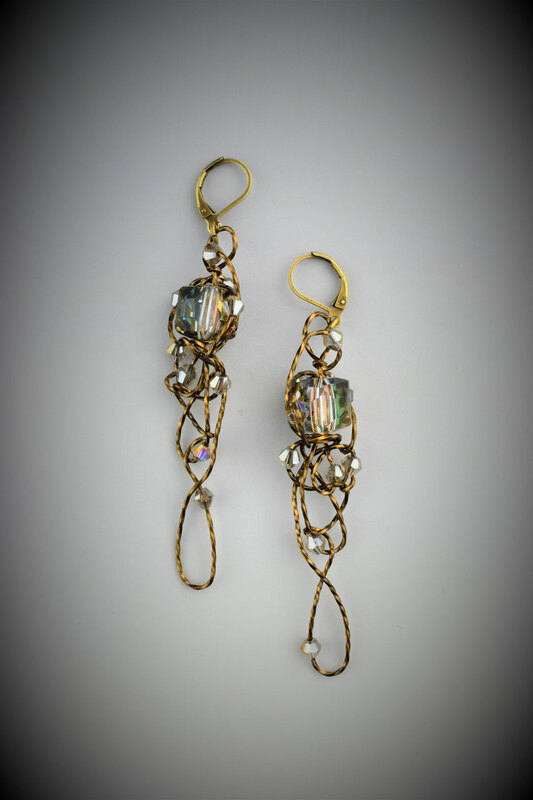 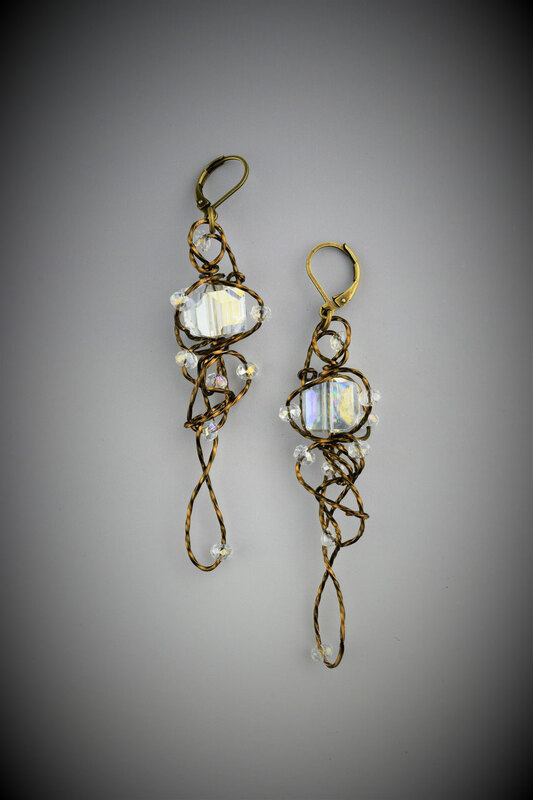 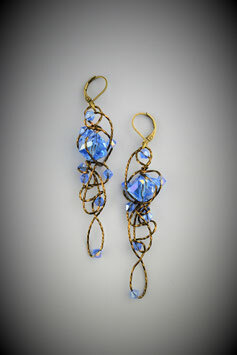 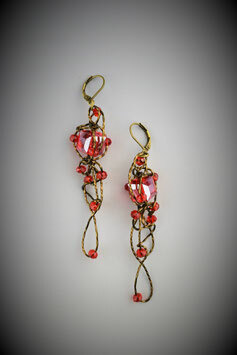 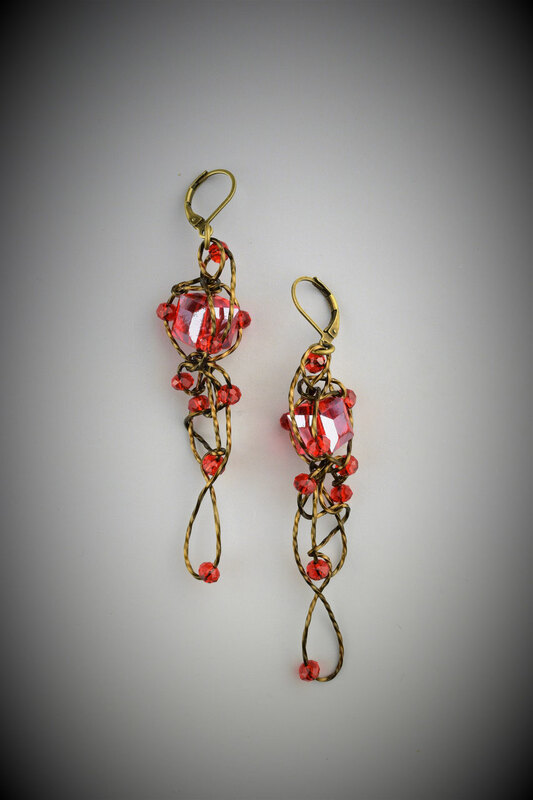 The hand twisted and beaded bronze coated copper wire has been free formed intriguingly around a center glass crystal bead. 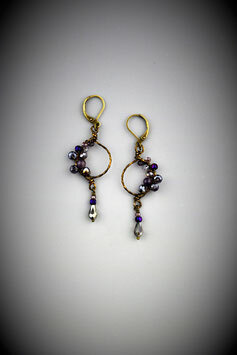 Price includes sales tax. 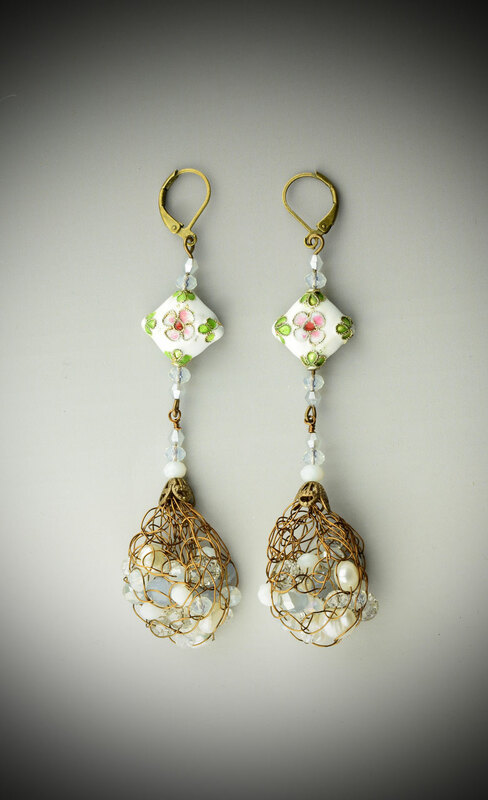 White Cloissonne with "Shades of White" beaded French Knit Drop Earrings. Each earring is 1 wide; hangs 23" below the ear. 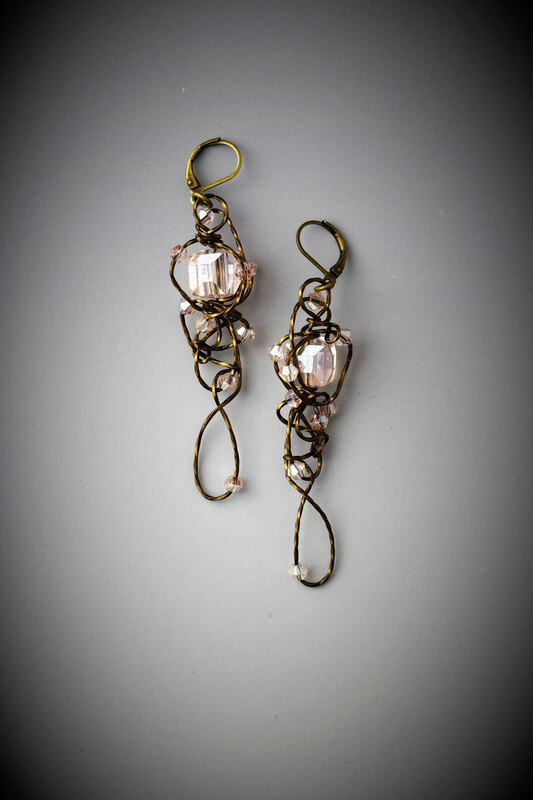 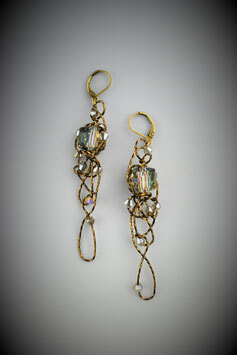 A cloissonne bead tops a tear drop made by French knitting freshwater pearls and glass crystal beads with bronze coated copper wire. 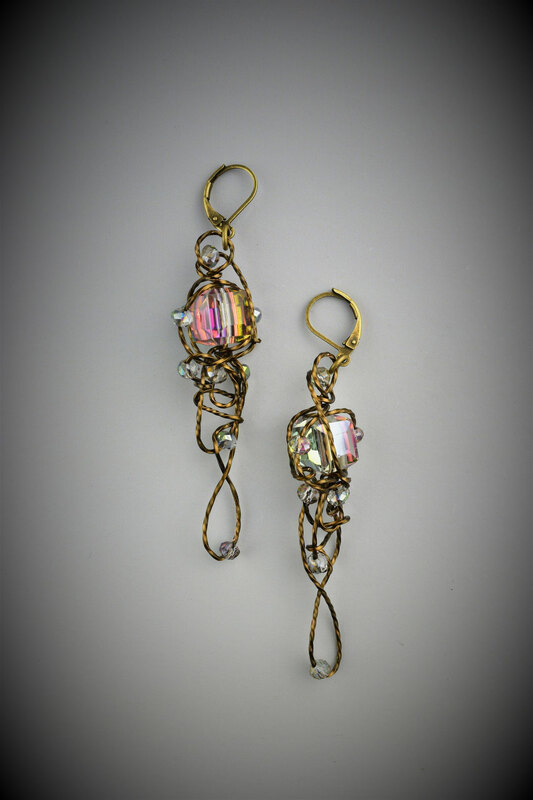 Coordinating necklace, rope, slide and bracelet may be available. 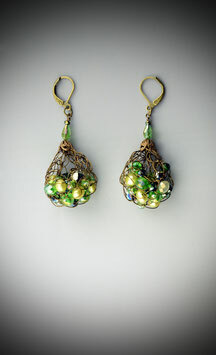 Price includes sales tax. 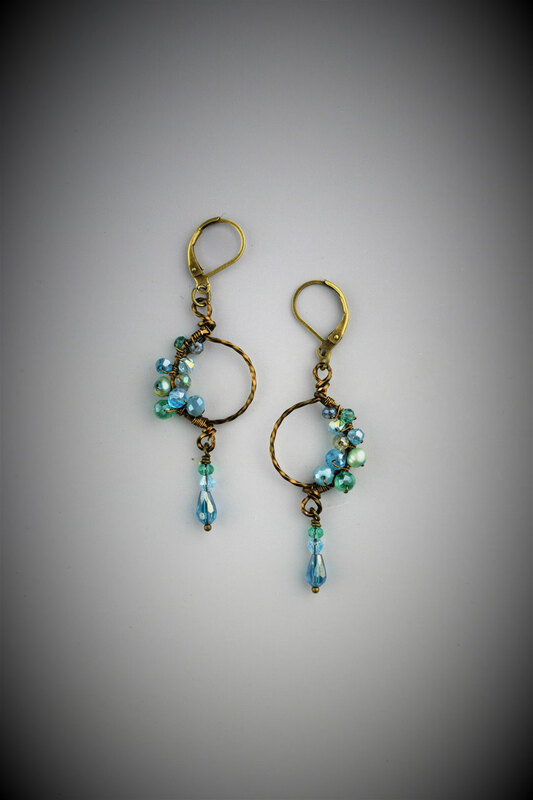 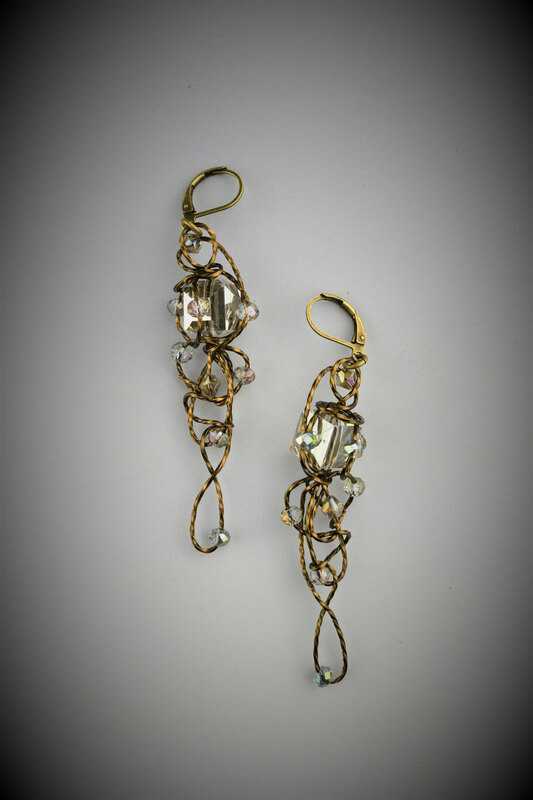 Each earring is 1 1/2" wide; hangs 2" below the ear. 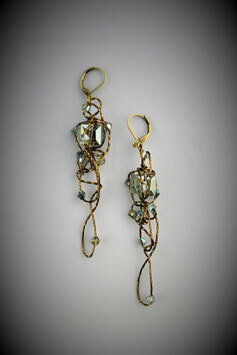 The upper bronze coated copper wire section was hand twisted, then formed using a jig. 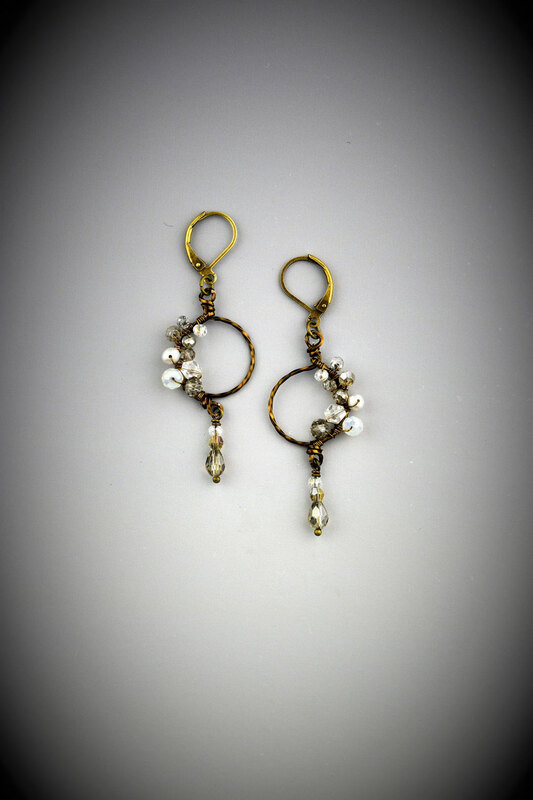 Freshwater pearls, smokey quartz, crystal and glass beads were French knitted with coordinating wire to make the lower portion. Coordinating necklace, rope, slide and bracelet may be available. Price includes sales tax. 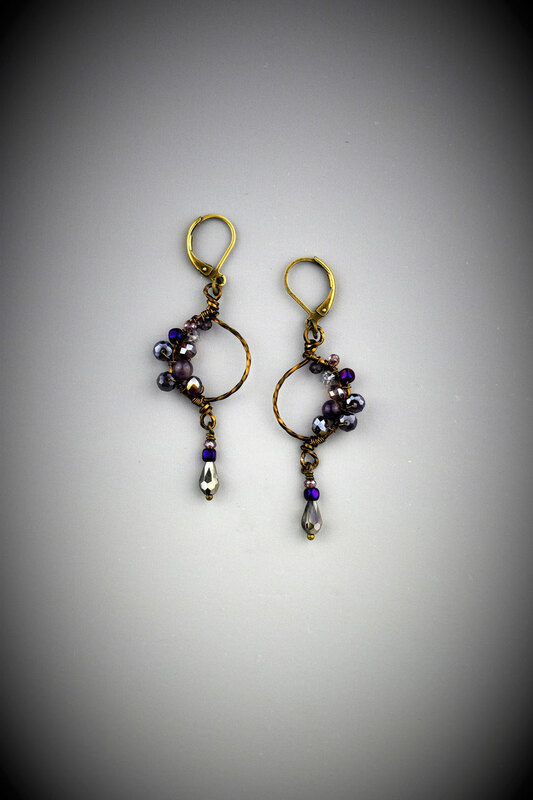 Each earring is 1 1/2" wide; hangs 2" below the ear. The upper bronze coated copper wire section was hand twisted, then formed using a jig. Freshwater pearls, crystal and glass beads were French knitted with coordinating wire to make the lower portion. 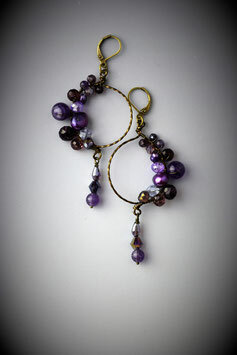 Coordinating necklace, rope, slide and bracelet may be available. 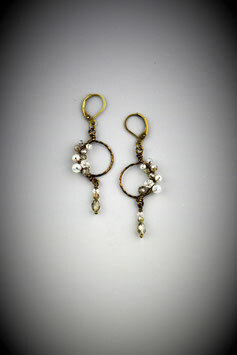 Price includes sales tax. 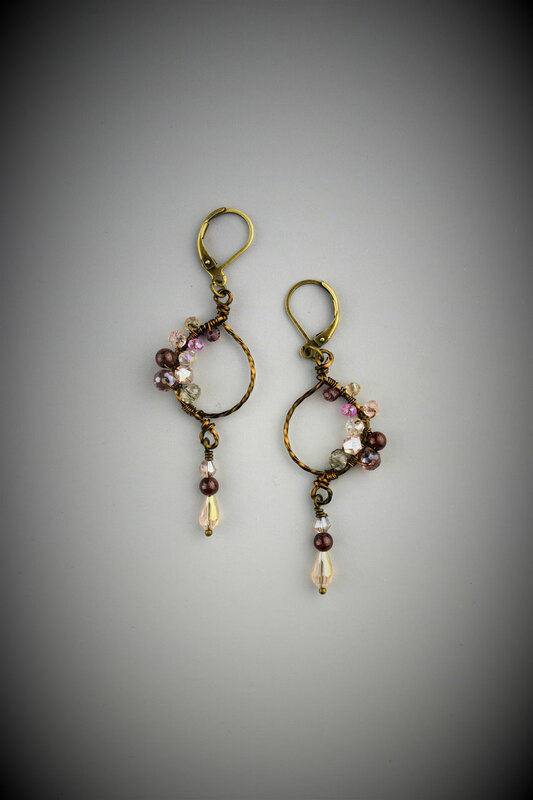 Each earring is 1 1/2" wide and hangs 2" below the ear. 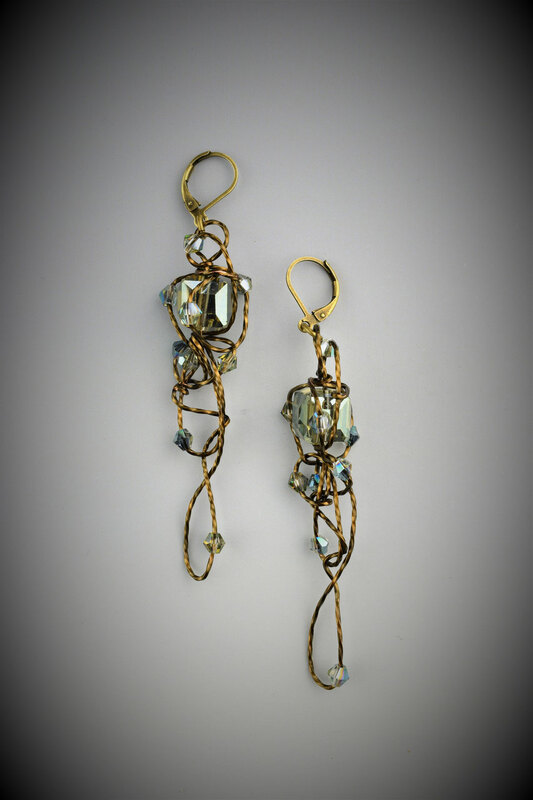 The bronze coated copper wire forming the circle has been hand twisted and wrapped with an intriguing mix of glass crystal beads. Price includes sales tax. Each earring is 1 1/2" wide and hangs 2" below the ear. 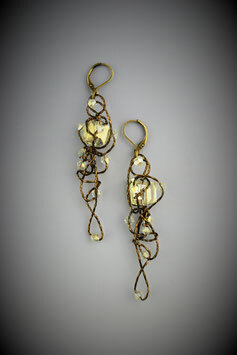 The bronze coated copper wire forming the circle has been hand twisted and wrapped with an intriguing mix of freshwater pearls, crystal and glass beads. 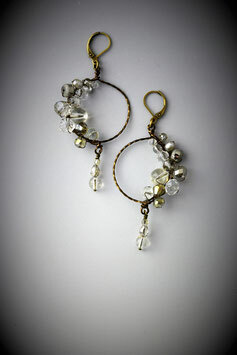 Price includes sales tax. 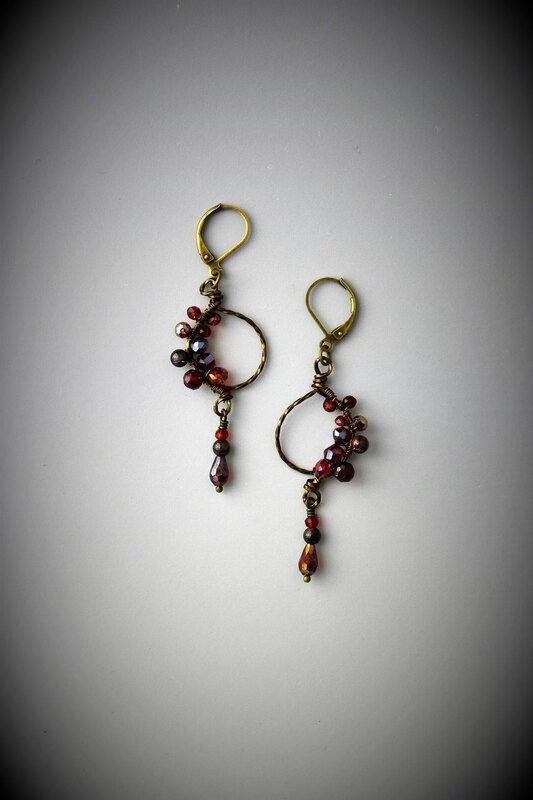 Each earring is 3/4" wide and hangs 1 5/8" below the ear. The bronze coated copper wire forming the circle has been hand twisted and wrapped with an intriguing mix of glass crystal beads. 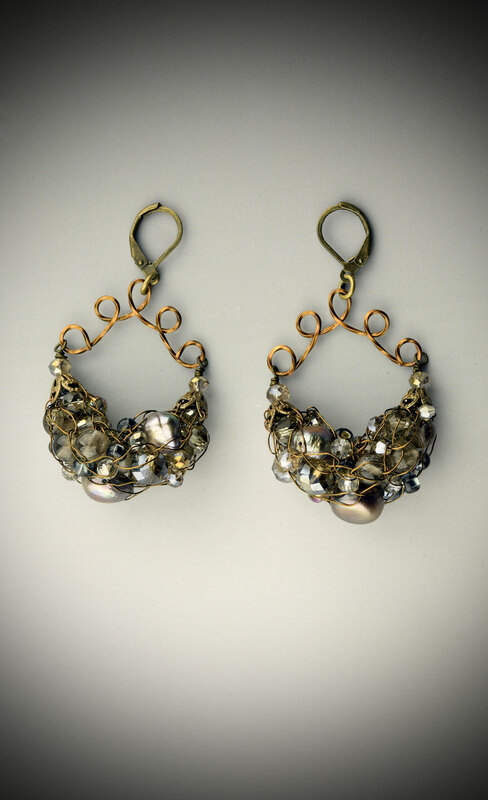 Price includes sales tax. Each earring is 3/4" wide and hangs 2" below the ear. The hand twisted and beaded bronze coated copper wire has been free formed intriguingly around a center glass crystal bead. 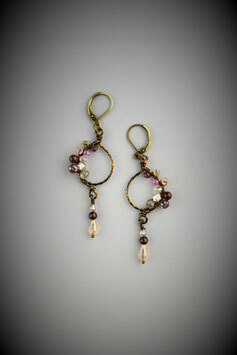 Price includes sales tax.